In baraminology hybrid data is used to determine which species are able to reproduce with each other and thus logically belong to the same created kind (baramin). Hybrid data from birds in the order Passeriformes was examined. 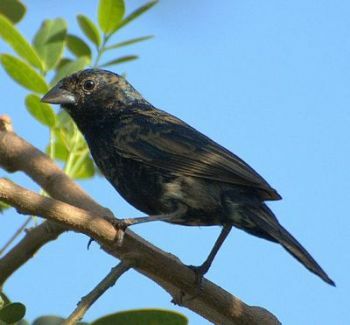 It was found that there is a large sparrow-finch monobaramin that includes over 1,000 species. One questionable hybrid, if confirmed, would potentially double the size of this monobaramin to include birds such as swallows. Ravens and crows are in a separate taxonomic category within this order and have no hybrid data that would connect them to the sparrow-finch monobaramin. Given the variety within these monobaramins, it is evident that God cares for his creatures and has enabled them to not only multiply but also diversify while filling the earth. One goal of baraminology is to identify extant species that belong to a common created kind (baramin). One important method of determining that two different species belong to the same baramin is the ability to form hybrids between them. 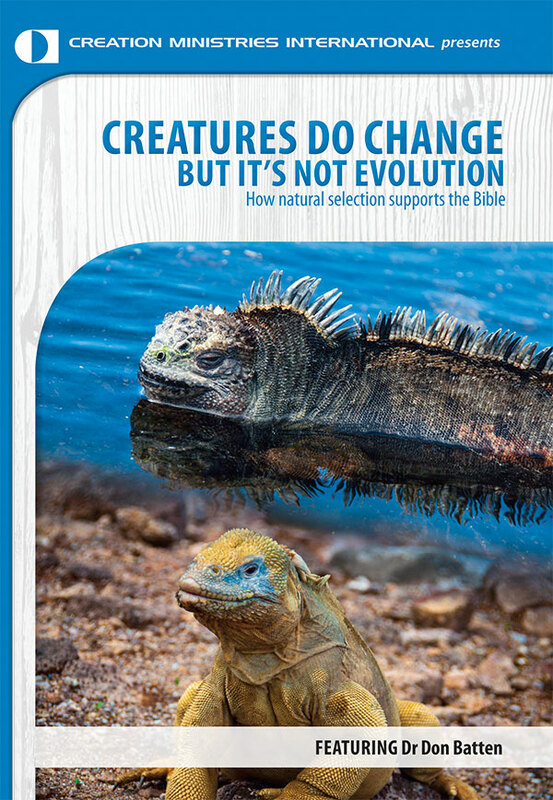 As long as there is significant embryological development, hybridization is considered, by most creationists, to be conclusive evidence that creatures are from the same baramin.1 Taxa connected by hybrid data are said to be in the same monobaramin. One problem is that a lack of hybrid data does not, in itself, suggest that the two are necessarily from different baramins. This is because barriers can arise which make hybridization difficult or impossible even when creatures are known to be related. Hybrid data is more complete for animals that are domesticated or held in captivity. Indeed, the rare hybrids between sheep and goats would likely never have been identified if these two domestic species were not commonly kept together.2 Several years ago a compilation of all known avian hybrids was published by Eugene McCarthy.3 Again, a very large proportion of the hybrid reports come from animals held in captivity. The second baraminologic study involved the order Anseriformes (waterfowl).6 Here the major family, Anatidae (ducks, geese, swans), which includes over 145 species, had hybrid data across subfamilies showing it to be a monobaramin. The other two families, Anhimidae (screamers) and Anseranatidae (magpie goose), are small and include three and one species, respectively. There is no hybrid data connecting these three families. One goal of baraminology is to identify extant species that belong to a common created kind (baramin). Another order, Passeriformes (perching birds), contains more than half of the world’s bird species. 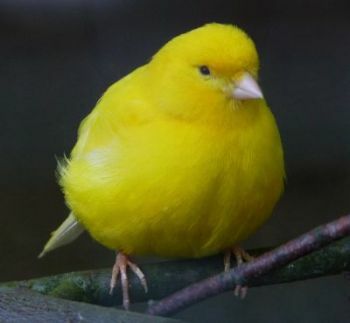 It includes the domestic canary (figure 1), which itself has considerable hybrid data with other species. Other members of finch and sparrow families also have interfamilial hybrid data which reveals a sizable monobaramin. Figure 1. The domestic canary (Serinus domesticus; above left) has hybridized with numerous other perching birds including the blueblack grassquit (Volatinia jacarina; above right), the chestnut-capped blackbird (Agelaius ruficapillus; below left) and the red fody (Foudia madagascariensis; below right). At the time of the Flood, two birds are specifically mentioned: a raven (עֹרֵב, ‛ōrēb) and a dove (יּוֹנָה, yônâ).12 The latter appears 32 times in reference to birds and is always translated dove(s) or pigeon(s) in the New International Version (NIV).13 Both pigeons and doves belong to the order Columbiformes and hybrids have formed between them, indicating they are a monobaramin.14 Of more relevance to this study is the word for ‘raven’ as ravens belong to the order Passeriformes. After the direct object marker (אֵת), the phrase can be literally rendered ‘every raven according to its kind’. It could be suggested this means there are several kinds (baramins) of raven, but this would seem unlikely. Important work on the meaning of the Hebrew word ‘מִין (mîn)’ suggests that it is probably not a technical term, but one that indicates subdivisions in a larger group much like the English word ‘kind’.17 Thus I conclude that the raven was one created kind (baramin) represented on the Ark, but by the time the Law was given there were several different varieties, or possibly even species, of raven known to the Israelites. All of them were unclean. This is consistent with the NIV and English Standard Version (ESV) translations. Other passages involving ravens are: 1 Kings 17:4, 6, where God uses ravens to provide food for Elijah while he was hiding in the Kerith Ravine, east of the Jordan River; Job 38:41 and Psalm 147:9 where God provides food for the ravens; Proverbs 30:17 where ravens of the valley will peck out the eye of one who mocks a father or scorns obedience to a mother; Song of Songs 5:11 where the lover’s hair is said to be black as a raven; and Isaiah 34:11 where the raven is one of several birds that will live in Edom after God brings destruction, eliminating the people there. 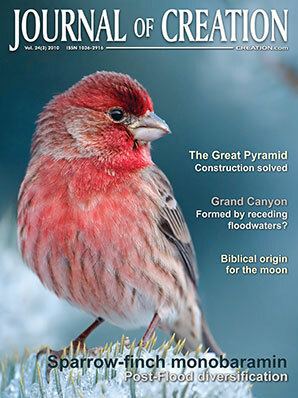 The Hebrew צִּפּוֹר is actually a very broad term that refers to birds. When used in connection with דְּרוֹר it makes sense in the context that a small bird like a sparrow is what the author had in mind. The word appears 38 additional times, often referring to birds in general.21 I could not identify any other Hebrew words associated with members of the order Passeriformes. Hybrid data exists (table 1) which connects Fringillidae (finches) with Estrildidae (estrilid finches), Emberizidae (American sparrows and buntings), Passeridae (Old World sparrows), and Icteridae (blackbirds). 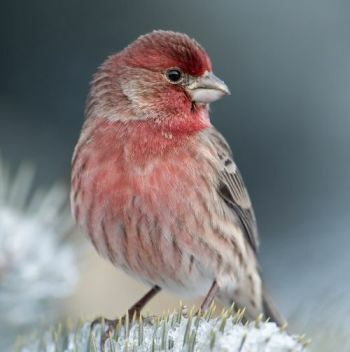 Further Estrildidae species have crossed with those of Ploceidae (weaver finches) and Emberizidae with Cardinalidae (cardinal and grosbeaks). Many of these interfamilial crosses have multiple well-documented hybrids. However, the documented cross connecting Fringillidae with Passeridae involves the formation of fertile eggs with no comment on a live hybrid being hatched. There are also several other hybrid reports between these two families, but McCarthy considers these latter ones doubtful. Assuming fertility was measured by candling, significant embryonic development would be necessary to identify the eggs as fertile. Thus, I consider the hybrid evidence strong enough to include these families in the same monobaramin. 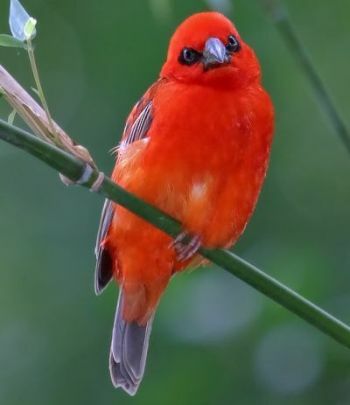 Due to the current state of flux in avian taxonomy, some of the species generally identified as from the family Emberizidae have been reassigned to the family Thraupidae (tanagers). This includes some species involved in the hybrids above. Not all sources accept this taxonomic change, but it is interesting to note that McCarthy groups the families Cardinalidae, Coerebidae (bananaquit), Emberizidae and Thraupidae together in one section when reporting the hybrids.22 Other sources group these families together as well.23 Thus, I conclude the monobaramin also includes Coerebidae and Thraupidae. Several other families are connected by hybrid data that McCarthy considers questionable. An old reported cross between Estrildidae and Viduidae (vidua finches and whydahs) is strongly questioned because the details of the original report are so sketchy. A cross between Fringillidae and Zosteropidae (white-eyes) is also questioned because the latter belongs to a separate superfamily (Sylvioidea) than the rest of the Passeroidea hybrids above. Swallows are in the family Hirundinidae, which is also in the superfamily Sylvioidea. There have been reports of natural hybrids connecting several genera (Delichon, Hirundo, Riparia and Tachycineta) within this family, but no interfamilial hybrids have been reported.24 Thus, based on the data considered most reliable by McCarthy, swallows currently occupy a separate smaller monobaramin than the sparrow-finch monobaramin. There are many other families in the order Passeriformes, but they lack well-substantiated interfamilial hybrids. They also contain small monobaramins similar to what is found among swallows and ravens. They will not be listed in detail here as it would be tedious and not add significantly to this paper. Sibley and Ahlquist used DNA-DNA hybridization data in an attempt to clarify avian taxonomy.27 This laboratory procedure involves ‘unzipping’ DNA by heating it. The DNA is then cut into fragments averaging about 500 bases to allow for the removal of the bulk of repeated sequences and to obtain reproducible rates of reassociation. These DNA fragments are then reassociated, either with fragments from the same individual or those from another species. The stability of the resulting duplexes is evaluated by comparing the median melting temperature of a homoduplex (same individual) DNA hybrid with that of a heteroduplex (different species) hybrid. The reassociated DNA duplexes have a lower thermal stability due to base pair mismatches. Thus, a greater difference in thermal stability between a homo-and heteroduplex implies greater sequence differences between the two species. The authors’ analysis assumes that sequence similarity is always from common ancestry. Thus, universal common ancestry for all birds is assumed, which is clearly in conflict with the biblical history in Genesis. This incorrect assumption may explain some radical rearrangements in higher taxa compared to traditional means of classification. A detailed investigation of this is beyond the scope of this paper, which is limited to taxa connected by hybrid data. A second assumption more directly related to this paper is that convergent evolution on a DNA sequence level is negligible. There could be some reason to question this since convergence is so common on a morphological level. Research in color-coding genes has shown that the same nucleotide changes can occur in divergent taxa, but this is not terribly common.28 Further, the same color patterns can be acquired via different mutations in the same gene or mutations in different genes.29 This suggests that sequence convergence should be less of a problem than morphologic convergence. Table 1. A list of successful interfamilial crosses within the sparrow-finch monobaramin. Pages are from McCarthy, ref. 2. * indicates fertile eggs, but no mention of hatched hybrids. † indicates species which are now sometimes classified as Thraupidae. 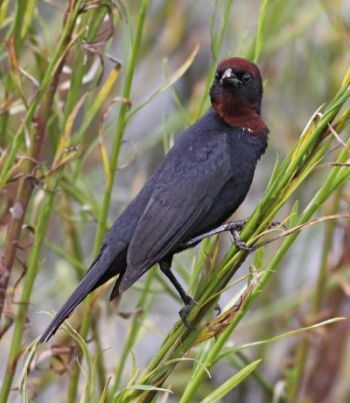 Ignoring the hybrids McCarthy considers questionable, it appears the monobaramin would easily include nine families in the Passeroidea superfamily (Fringillidae, Estrildidae, Emberizidae, Passeridae, Icteridae, Ploceidae, Cardinalidae, Coerebidae and Thraupidae). This would include 1,045 species30 and about half of the families generally placed in the superfamily Passeroidea. If the cross between Fringillidae and Zosteropidae is confirmed, then the monobaramin would include Passeroidea and at least some of Sylvioidea, two of three major superfamilies in the infra-order Passerida.31 This seems to imply that swallows, as members of Sylvioidea, might also belong to the sparrow-finch monobaramin. Using Sibley and Ahlquist’s taxonomy based on DNA-DNA hybridization, the monobaramin includes two families: Passeridae and Fringillidae. The other families are demoted to subfamilies within these two. However, with this regrouping the monobaramin consists of 1,379 species. If Zosteropidae were also included, then a second superfamily, Sylvioidea, would be included in this monobaramin as described above. This would more than double the number of species in the monobaramin and, as mentioned above, include swallows.32 Regardless of whether this monobaramin actually includes one or two superfamilies, the ravens still occupy a separate parvorder and remain unconnected to the sparrow-finch monobaramin based on current hybrid data. Though ambiguity exists within avian taxonomy, there is clear evidence from hybrid data for a large sparrow-finch monobaramin consisting of over 1,000 species from multiple families. Though ambiguity exists within avian taxonomy, there is clear evidence from hybrid data for a large sparrow-finch monobaramin consisting of over 1,000 species from multiple families. These species display an impressive variety of color patterns, beak morphology, and other characteristics. This is particularly notable given the severe genetic bottleneck at the time of the Flood less than 5,000 years ago. Clearly this is evidence that God cares for his creatures and has enabled them to multiply and diversify into many disparate species. Creationary studies in mammals have suggested that God used much more than ‘random mutation and natural selection’ to accomplish this. There are examples of genes that were designed in a way to allow for genetic changes to occur which are useful and/or add beauty and variety. Given patterns observed in these genes, it was further suggested that the genome is programmed to respond appropriately to environmental factors.33 This would allow for these non-random changes to appear at appropriate times rather than waiting on chance mutations to supply them. Epigenetic factors may play a crucial role as well. Further study into the underlying basis for variation in this monobaramin would be helpful in determining if similar patterns exist in birds. If interspecific hybridization is a reliable criterion in determining baramins, then much more work is necessary to identify the genetic and environmental mechanisms responsible for generating this tremendous intrabaraminic diversity from one Ark kind. Identification of gene modules or gene regulatory networks and the factors responsible for their differential expression are essential in understanding the mechanisms driving post-Flood diversification. In addition to genomic analysis, phenotypic plasticity and/or ecomorphological studies could lead to important insights and testable hypotheses regarding the innate genetic potential of baramins. Mere fertilization and initial cell division are insufficient as these are known to occur in crosses between unrelated baramin and the initial cell divisions are under maternal control. Significant embryological development can only result when there is coordinated expression between both maternal and paternal genes. It was previously suggested that a well-developed blastocyst would be sufficient to demonstrate significant development. Lightner, J.K., Identification of species within the cattle monbaramin (kind), Journal of Creation 21(1):119–122, 2007. Return to text. Stewart-Scott I.A., Pearce, P.D., Dewes, H.F. and Thompson, J.W.L., A case of a sheep-goat hybrid in New Zealand., New Zealand Veterinary Journal 38(1):7–9, 1990; Letshwenyo, M. and Kedikilwe, K., Goat-sheep hybrid born under natural conditions in Botswana, Vet. Rec. 146(25):732–734, 2000. Return to text. McCarthy, E.M., Handbook of Avian Hybrids of the World, Oxford University Press, New York, 2006. Return to text. McConnachie, M. and Brophy, T.R., A Baraminological Analysis of the Landfowl (Aves: Galliformes), Frontiers in Creation Research, Proceedings of the Seventh BSG Conference, Occasional papers of the BSG 11:9–10, 2008. Return to text. del Hoyo, J., Elliott, A. and Sargatal, J. (Eds. ), Handbook of the Birds of the World, Vol. 2: New World Vultures to Guineafowls, Lynx Edicions, Barcelona, pp. 434–557, 1994. Return to text. Lightner, J., Curious patterns of variation within the Anatidae monobaramin and implications for baraminological research, Genesis Kinds: Creationism and the Origin of Species, Proceedings of the Eighth BSG conference, Occasional papers of the BSG 13:5, 2009. Return to text. del Hoyo, J., Elliott, A. and Sargatal, J. (Eds. ), Handbook of the Birds of the World, Vol. 1: Ostrich to Ducks, Lynx Edicions, Barcelona, pp. 72–73, 1992. Return to text. Sibley, C.G. and Monroe, B.L., Distribution and Taxonomy of the Birds of the World, Yale University Press, New Haven, CT, 1990. Return to text. Genesis 1:20–23. Return to text. 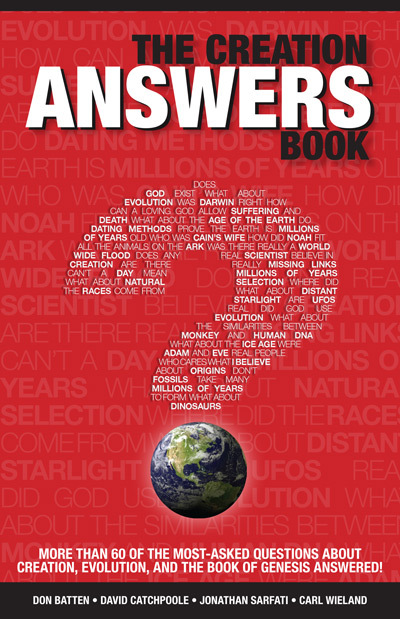 Genesis 6:7, 17, 19–21; 7:1–4, 8–9, 14. Return to text. Genesis 8:15–20. Return to text. Genesis 8:6–12. Return to text. References used in the Hebrew analysis include Kohlenberger III, J.R. and Swanson, J.A., The Hebrew-English Concordance to the Old Testament, Zondervan, Grand Rapids, MI, 1998; and BibleWorks v. 7.0, 2001. Return to text. McCarthy, ref. 3, pp.158–165. Return to text. Holladay, W.L. (Ed. ), A Concise Hebrew and Aramaic Lexicon of the Old Testament; in: BibleWorks v. 7.0, 2001. Return to text. Turner, K.J., The Kind-ness of God: A Theological Reflection of Mîn, “Kind”, CORE Issues in Creation 5:31–64, 2009. Return to text. Note that דְּרוֹר (derôr), although understood by mideval rabbis as ‘swallow’, is the modern Hebrew word for ‘sparrow’. Return to text. Gesenius, H.W.F., Gesenius’ Hebrew-Chaldee Lexicon to the Old Testament, Baker Books, Grand Rapids, MI, 1979. Return to text. Exodus 30:23; Leviticus 25:10; Isaiah 61:1; Jeremiah 34:8, 15, 17; Ezekiel 46:17. Return to text. Gesenius, ref. 18, p. 716. Return to text. McCarthy, ref. 3, pp. 316–333. Most of the other passerine families, including those which hybridize across families, are listed separately. I.e. Ploceidae, pp. 272–275; Estrilididae, pp. 275–294; Fringillidae, pp. 295–307; and Icteridae, pp. 333–337. Return to text. Sibley, D.A., National Audubon Society: The Sibley Guide to Birds, Chanticleer Press, New York, p. 459, 2000. Return to text. McCarthy, ref. 3, pp. 253–255. Return to text. McCarthy, ref. 3, pp. 224–228. Return to text. McCarthy, ref. 3, pp. 221–224. Return to text. Sibley, C.G. and Ahlquist, J.E., Phylogeny and Classification of Birds: A Study in Molecular Evolution, Yale University Press, New Haven, CT, 1990. Return to text. Lightner, J.K., Genetics of Coat Color I: The Melanocortin 1 Receptor (MC1R), ARJ 1:109–116, 2008. Return to text. Lightner, J.K., Genetics of Coat Color II: The Agouti Signaling Protein (ASIP) Gene, ARJ 2:78–84, 2009. Return to text. del Hoyo, Elliott and Sargatal, ref. 7, p. 69. In this reference Cardinalidae, Coerebidae, and Thraupidae are included under Emberizidae. Passeridae is included in Ploceidae. Return to text. Myers, P., Espinosa, R., Parr, C.S., Jones, T., Hammond, G.S. and Dewey, T.A., The Animal Diversity Web (online), 2008, http://animaldiversity.org, accessed 15 July 2010. Return to text. Sibley and Ahlquist, ref. 26, pp. 642, 675, 683. Return to text. Lightner, ref. 27, and Lightner, J.K., Karyotypic and allelic diversity within the canid baramin (Canidae), Journal of Creation 23(1):94–98, 2009. Return to text.